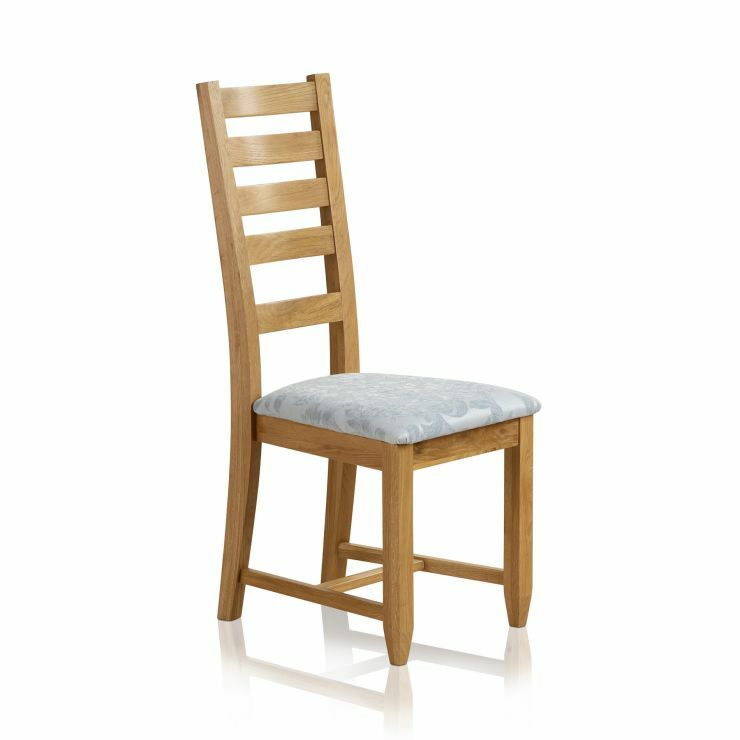 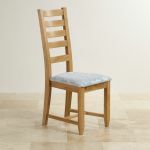 This dining chair is the perfect complement to our Classic range. 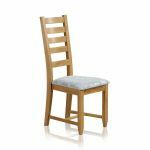 Finished in the warm tones of Natural Solid Oak to bring out the grain of the high grade timbers, it is certain to add character as part of a dining set, or act as a great computer chair or dressing table seat for any of our range pieces. 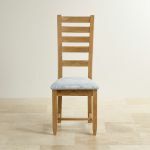 Gently tapered legs match the timeless elegance of the Classic range, and the patterned duck egg fabric seat pad pairs beautifully with the solid oak.